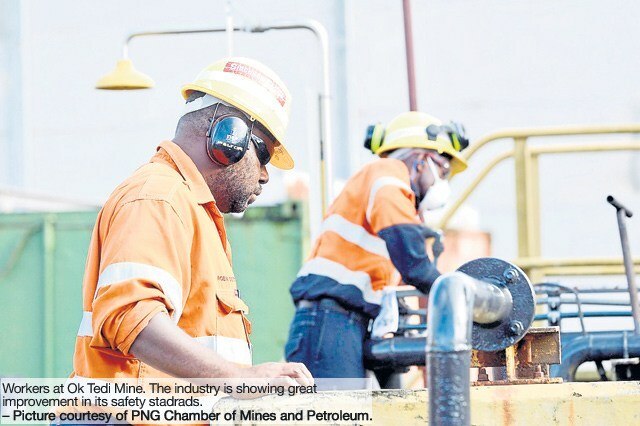 ZERO fatalities were recorded in 2017 within the mining industry in terms of safety standards, according to the Mineral Resources Authority (MRA). This means that there were no loss of lives in 2017 in any of the regulated mining projects in the country – a record that was last achieved in 2008. Chief inspector of mines Lave Michael said this was a significant achievement considering that 17,417 workers were directly employed by mining companies and provided about 52 million hours of work last year. Michael said that in 2016, a total of 15,479 worked at the mines and clocked in about 44 million hours but only two fatalities were recorded. The serious injuries frequency rate drastically decreased by almost 50 per cent, according to MRA. “This is not the norm,” said MRA acting managing-director Nathan Mosusu. Mosusu said these outcomes were the result of the efforts of MRA and the industry working towards reaching their common goal of ‘Zero Harm’ to all employed on mine sites. Mosusu also commended MRA’s inspectors for their professionalism, hard work and commitment in protecting the lives of thousands of mine workers who contributed significantly to the country’s economy every year.